Although, WordPress commenced its journey as a robust blogging platform, now you can use it to build anything- from a simple blog to an e-commerce site. Its extensive range of themes and plugins gives you the flexibility to create any kind of a site – even an online store within a least span of time. However, the WordPress doesn’t offer any in-built eCommerce functionality, but there are hosts of overwhelming tools and plugins that will help you to transform your simple site into a fully-functional eCommerce solution with ease. So, in this blog post, we will cover the 7 best WordPress eCommerce plugins that you can use to create a highly-interactive online store. When it comes to the most popular and user-friendly eCommerce solution, WooCommerce is the first name that strikes to my mind. It is the #1 free eCommerce plugin for WordPress with over 1 million of active installs across the globe. This plugin makes it easy for you to add unlimited product pages within your site. You will also get a variety of eCommerce functionalities, including shopping cart, checkout, order management, product and inventory management, control over shipping, coupon management, interactive statistics and a lot more that can help you make a successful online storefront. Developer-friendly and a lot more. If you are selling digital products online, then you can’t ignore this plugin. Easy Digital Downloads is an ideal WordPress plugin for selling digital and non-physical products in essence. It is a simple, intuitive and easy to install plugin that can help you create a full-fledged eCommerce store in minutes. Embed functionality with various extensions, etc. It is a feature-rich WordPress plugin that lets you create online shop without even getting your hands dirty in coding. The plugin is created by a professional development team that has years of experience in delivering quality online site projects for top-notch brands. With the use of Jigoshop, you can add multiple product pages; upload all your products, take payments with PayPal and other payment gateways, without integrating any third party tool. In addition, there are plenty of premium extensions that will take your online store to the next level on the go. In short, Jigoshop is a simple, user-friendly and cost-effective solution for creating professional looking eCommerce site. Easy to manage shop’s stock, and much more. WP eCommerce is a great WordPress plugin that allows business owners to create and customize purpose-oriented online store with ease. Sell anything online – both the physical and digital products using this powerful plugin. Even, it lets you create a membership site as per your requirement. You can further customize your plugin if you are comfortable with CSS and HTML coding. There are also some useful video tutorials that will help you learn more about this plugin. Ecwid Ecommerce Shopping cart plugin makes it super easy to set up a professional looking online store quickly and easily. This means you don’t need to learn any programming language to create or customize your e-store. This user-friendly plugin empowers non-tech savvy site owners to sell anything (both physical and digital products) on the fly. 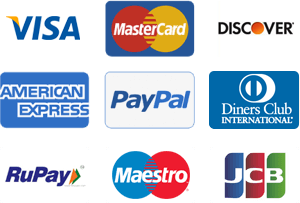 There are literary 40 international payment options and real-time shipping integration that make it a popular plugin across the globe. Plus, it integrates well with recognized carriers including FedEx, UPS, Australia Post, Canda post, USPS, etc to automatically calculate shipping taxes. You can also add your eCommerce site to Facebook to sell out your products and services to your targeted Facebook users. In fact, Ecwid is the leading eCommerce app on Facebook. PCI DSS Level 1 certified and lot more. Shopp is an excellent eCommerce plugin and secure shopping cart that has the potential to run thousands of online stores with ease. Although it was introduced as a premium plugin, now you can use it at free of cost. It is developed and modified by a community of volunteers that have expertise in developing quality eCommerce solutions across the world. Use this plugin to build your own order processing labels just by clicking a few buttons. Even, you can easily move orders manually or automatically. Provides complete flexibility and much more. WP EasyCart is a convenient solution for creating interactive and visually-appealing online store from scratch. There is plethora of free options to help you add eCommerce Shopping Cart system to your WordPress site within a few minutes. The plugin allows you to sell anything- from retail products to digital downloadable products, gifts and carts to any other product that you can easily buy or subscribe online. But the best thing about this plugin is that it works smoothly with all WordPress themes. This means you don’t to buy third party tools to integrate shopping cart functionality to your site if you are using WP Easy Cart plugin. Inbuilt tools to setup and run coupons and promotions, etc. All these plugins mentioned above in this blog post are free and incredible in terms of functionality, feasibility and features. These plugins will allow you to set up a successful online store without any coding skills. All you need to do is to pick out the most suitable eCommerce plugin from WordPress repository and then download, install and use it for your first/next eCommerce project. I am Jessica Gibson, marketing head at PromoCodeClub and a passionate blogger. Currently, I am working for an eCommerce website. Here you can get ola coupons for new users, existing users, Redbus, Uber coupons, Amazon, eBay and many more. Apart from writing blogs, I love to explore the world by visiting different places and sharing my experiences with people. This entry was posted in wordpress plugins and tagged eCommerce WordPress plugins, WordPress eCommerce plugins, WordPress shop plugins on January 8, 2019 by SKT Themes. thanks for such free WordPress e-commerce plugin list. Your list help me to try ecommerce (just in localhost) so I can see feature they have inbuild. Thanks. Great. Glad this list could help.